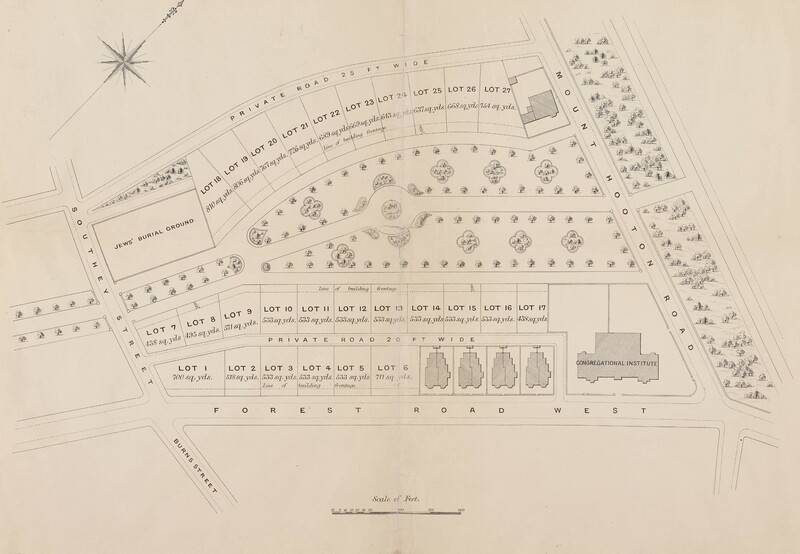 1876 prospectus for Waterloo Promenade drawn by Marrott Ogle Tarbotton, Borough Engineer. 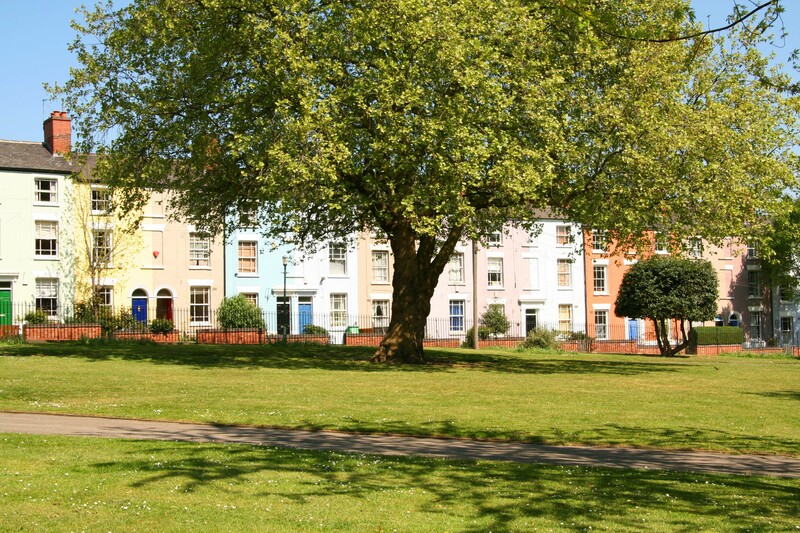 Waterloo Promenade was part of The Forest until the land was released for building in 1876. 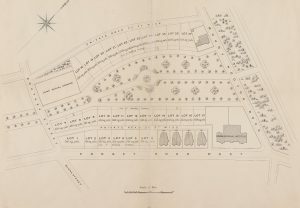 The plans in the building prospectus , drawn up by the Borough Engineer Marriott Ogle Tarbotton, promoted it as a tree-lined avenue lined by elegant houses with large gardens on either side. 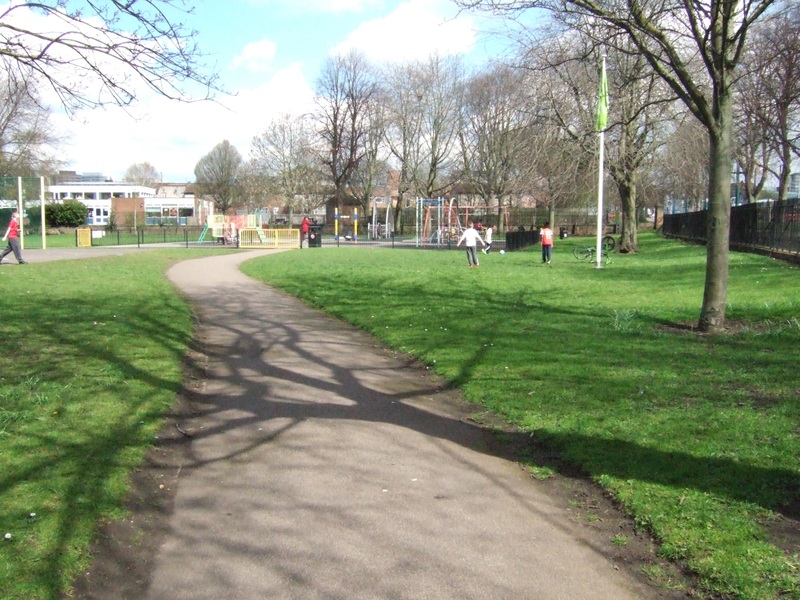 Cricket was played all over Nottingham, particularly in The Meadows and on Meadow Platt, now Victoria Park. 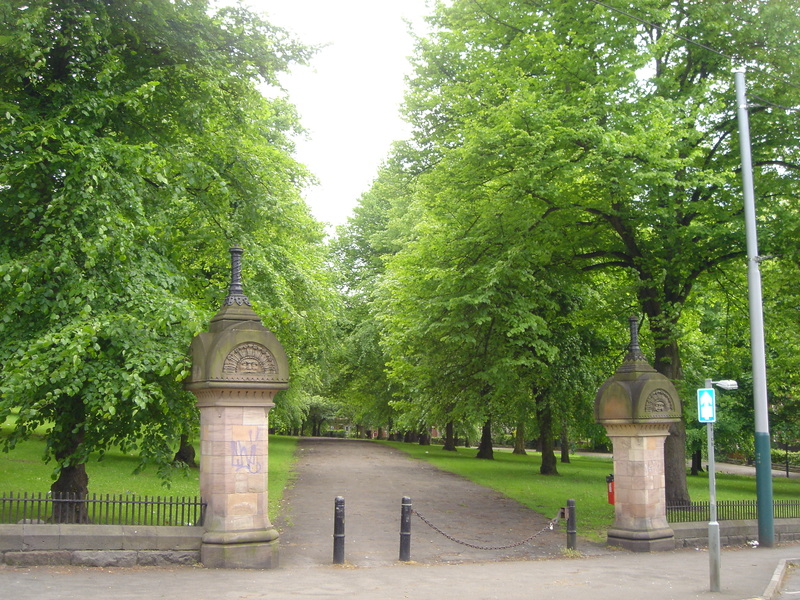 The cricket pitch in The Meadows was next to Queen’s Walk and doubled as a football ground in winter. 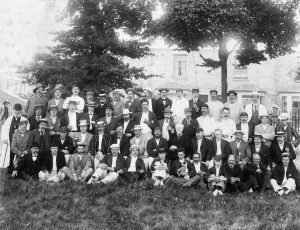 It remained a sports field into the 20th century. 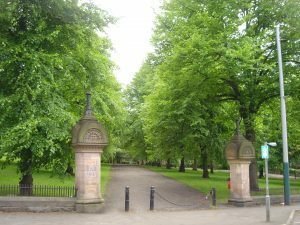 A proposal in 1910 to convert it into a children’s park was met with protests and the idea was withdrawn. 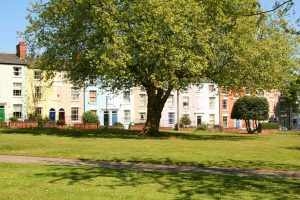 In 1928 Nottingham City Council said that there was no plan to make it a recreation ground, although that is what it has become. [Click to enlarge] 1876 prospectus for Waterloo Promenade drawn by Marrott Ogle Tarbotton, Borough Engineer. 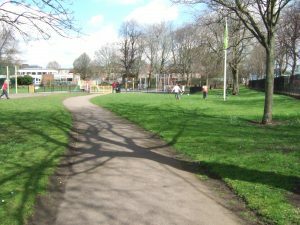 Victoria Park – previously Bath Street Cricket Ground and before that Meadow Platt – was used so much that the grounds were in very poor condition. The closeness of the pitches meant it was dangerous to players and audience. 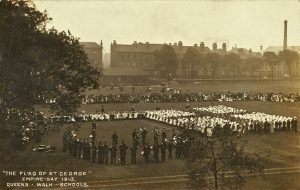 By 1884, only under-13s were allowed to play and in 1894 the ground was converted to Victoria Park, with flower beds, lawns, shrubberies and swings but no cricket. 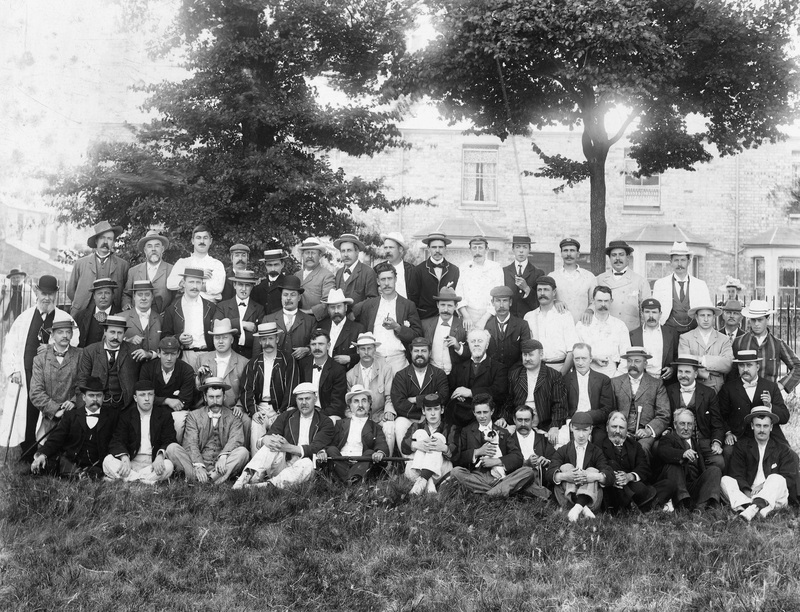 Cricket team at Queen’s Walk, 1895. Empire Day, 1913. 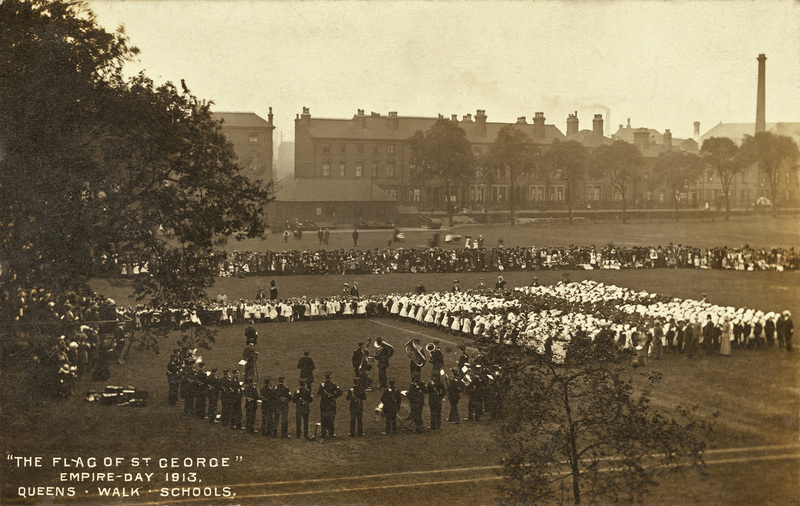 Children from The Meadows form a St George’s cross on Queen’s Walk cricket ground.